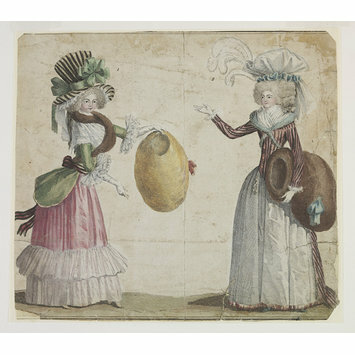 Colour print showing women's costume. 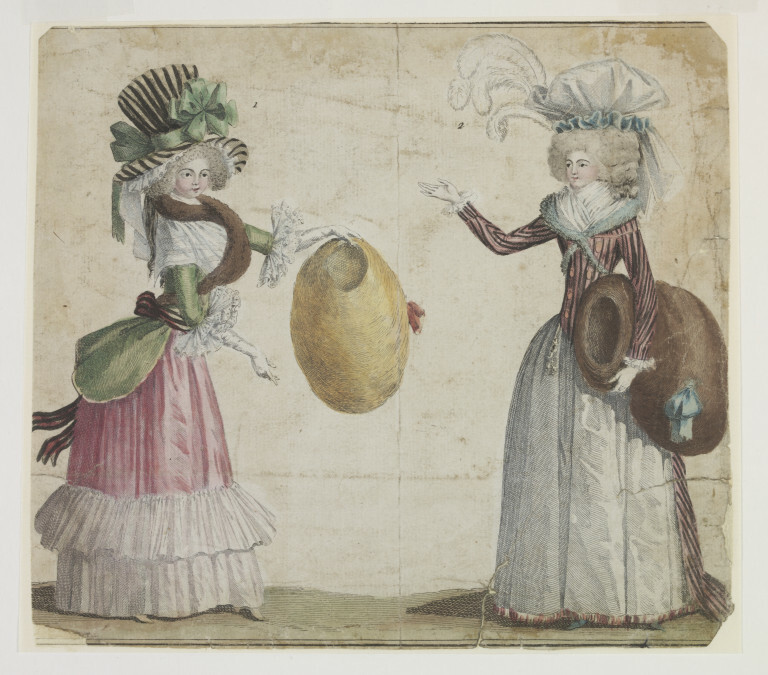 The print depicts two women, one on the left and one on the right. The woman on the right is wearing a white dress, jacket with black and pink stripes, hat adorned with feathers and is holding a brown muff. The woman on the left wears a pink and white dress, a green jacket trimmed with fur, a striped hat with a green bow and is holding a yellow muff. The two are shown full-length, turned towards each other. Victoria and Albert Museum Department of Prints and Drawings and Department of Paintings, Accessions 1959 . London: HMSO, 1964.
n the 1780s, both men and women carried excessively large muffs. Fur played a necessary role in an age without adequate heating, but it was also decorative – furs could be embellished with ribbons or tied about one’s person as here. They were even fragranced with scent.